Immigration plays a critical role in helping to grow provincial and territorial economies and Premiers called on the federal government for an immediate increase in overall immigration levels and a more responsive immigration system. 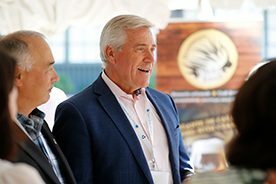 Premiers stressed that provinces and territories are in the best position to assess the needs of their communities and regional economies and should play the primary role in immigrant settlement services, with the federal government as a full funding partner. 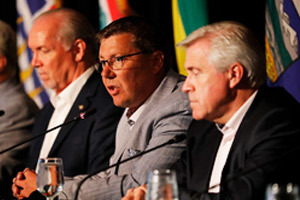 Premiers noted the success of the Provincial Nominee Programs and urged the federal government to increase the caps on immigration levels within the Provincial Nominee Programs. Premiers acknowledged the Express Entry economic immigration system that the federal government will launch in January 2015. Under the Canada-Québec Accord relating to immigration and temporary admission of immigrants, Québec fully assumes sole responsibility for establishing immigration levels, and for the selection, francization and integration of immigrants. In areas under its responsibility, Québec develops its policies and programs, legislates, regulates and sets its own standards. Canada’s Premiers are committed to promoting economic growth through a skilled and productive workforce. Labour Market Development Agreements (LMDAs) support proven and effective training programs that help Canadians find work, as evidenced in ongoing federal and provincial territorial evaluations. To date, the federal government has not provided any evidence supporting the need to renegotiate LMDAs. Labour market training is an area of provincial and territorial jurisdiction, and any future decisions around the LMDA are based on evidence, must be agreed to between the two orders of government and made in recognition that LMDAs are critical to provincial-territorial labour market development systems and services, and retain the permanent nature of the current agreements. Provinces and territories are best placed to respond to the unique needs of their respective labour markets, a fact recognized by the federal government when it devolved responsibility for labour market measures under the Employment Insurance Act to provincial-territorial governments, including the transfer of human resources. 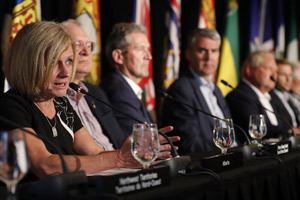 Premiers discussed recent federal changes to the Temporary Foreign Worker Program (TFWP). They noted that the TFWP has provided Canadian employers with an important economic tool to address critical labour needs when qualified Canadians are not available, particularly in regions with proven labour shortages and skills gaps. 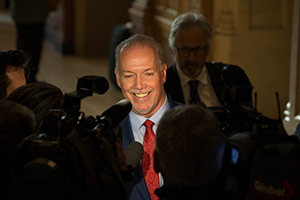 Premiers also noted that temporary foreign workers often transition to permanent residency, such as through the Provincial and Territorial Nominee Programs, and become long-term contributors to the labour force. While Premiers support the federal government’s commitment to strengthening the integrity of the program, they are concerned about the impact of the changes on the Canadian economy, particularly the ability to attract investment and entrepreneurs and create jobs. 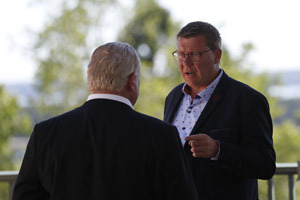 Premiers stressed that the reforms should not prevent employers who legitimately demonstrate difficulty in finding Canadian workers from accessing the program.